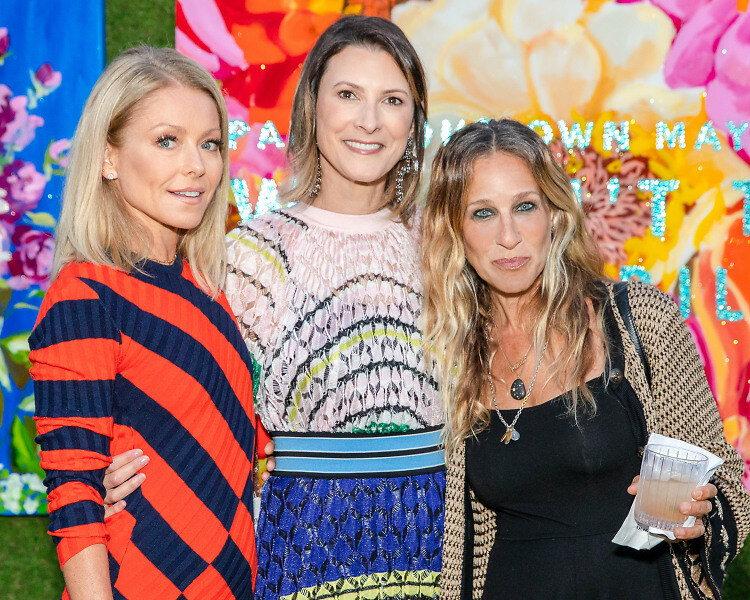 LTD by Lizzie Tisch, an experiential style venture founded by retail entrepreneur Lizzie Tisch, launched with a series of events over the weekend of July 13 in Bridgehampton, New York. The weekend kicked off with a private dinner to celebrate the launch, which was attended by Kelly Ripa, Sarah Jessica Parker and Jane Krakowski. Sales events also took place throughout the weekend, for which LTD curated a living showroom of renowned pop artist Ashley Longshore’s works sold alongside a collection of Lizzie’s summer must haves. LTD focuses on exclusive, limited edition designer collaborations bringing exciting collections and unique product to consumers, with the goal of infusing shopping with excitement, fun and a sense of discovery. Serving as Longshore’s exclusive Hamptons activation this summer, a selection of 40 pieces, in a variety of sizes and mediums, including paintings, sculptures and furniture were sold at the event. Inspired by Longshore’s bold and colorful pieces other featured items included custom cashmere sweaters by Rachelle Hruska MacPherson’s Lingua Franca line donning Longshore’s famed punny phrases. Energetically aware home and body goods from Sage & Salt were also featured. A portion of sales proceeds went to The Retreat, which provides domestic violence and sexual assault services on Eastern Long Island. Additional attendees included: Joseph Altuzarra, Alina Cho, Sean and Rachelle MacPherson, Amirah Kassem, Daniel Benedict and Andrew Saffir, Caroline Hirsch and Andrew Fox, Laura Slatkin, Darcy Miller, Fiona Rudin, Robert Verdi and Peter Pilotto.